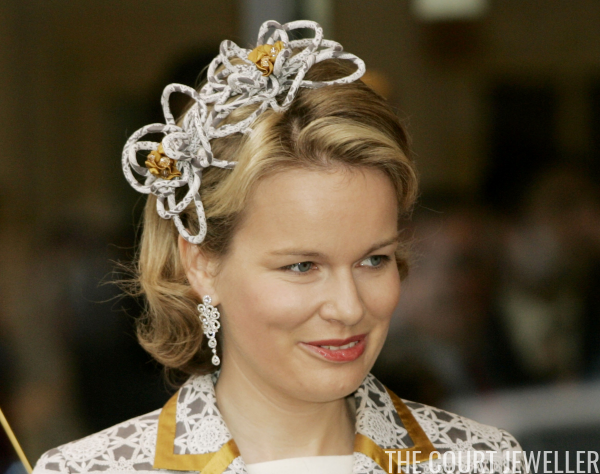 We're wrapping up our focus on the jewels of January's Magpie of the Month, Queen Mathilde of the Belgians, with a look at a very fun -- and very sparkly! -- pair of diamond earrings from her jewelry box. These earrings, which feature diamond loops and scrolls, plus a diamond drop, were made by Cartier. Mathilde has had them in her collection for at least a decade. 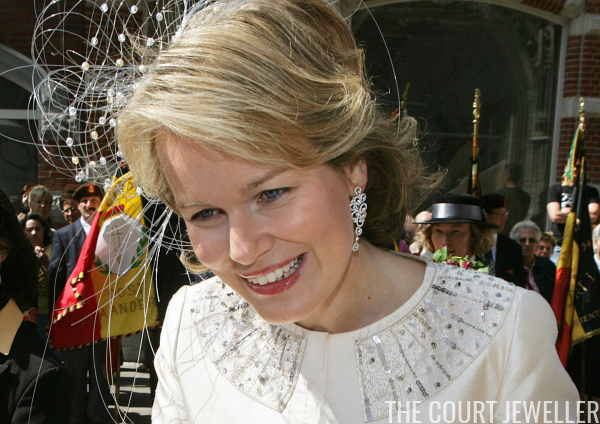 A major early appearance for the earrings came at Belgium's National Day festivities in 2007. She also wore them that year for the commemoration of the 90th anniversary of the Battle of Passchendaele. 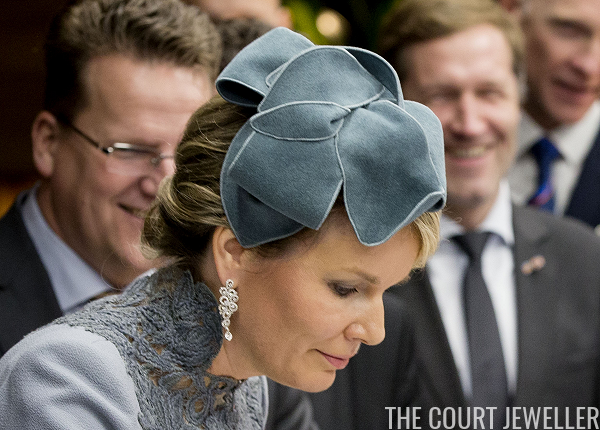 The following year, she wore the earrings for a visit the Brotherhood of St. Sebastian in Bruges, pairing them with an embroidered jacket. 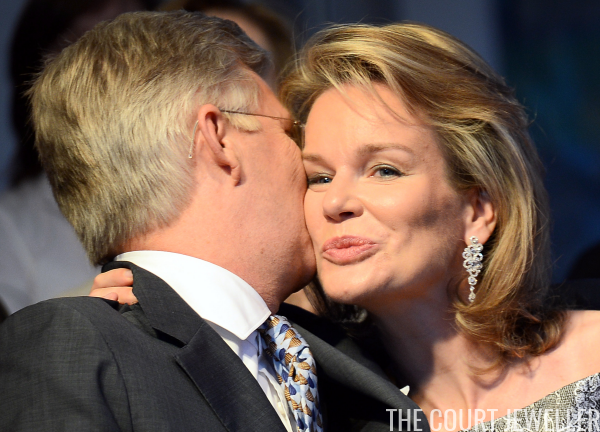 The earrings were a lovely accessory for Mathilde during the official November 2016 visit to the Netherlands. She chose them for her visit to the Sligro Foodgroup Netherlands in Veghel. One of the highest-profile outings for the earrings, though was their appearance at the National Day concert in July 2013, which took place on the day before she became the country's queen consort.